William Bruce Jenner is a former U.S. track and field athlete, motivational speaker, socialite and television personality, known principally for winning the gold medal for decathlon in the Montreal 1976 Summer Olympics. He is now known for his extensive overuse of plastic surgery and his role on Keeping up with the Kardashians. 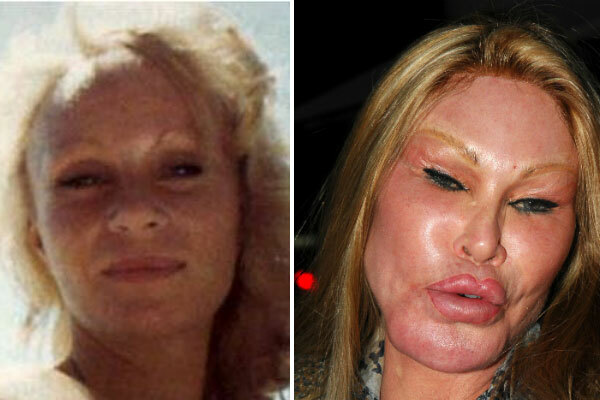 What happens when plastic surgery goes wrong. It happens to the best of them, celebrities, athletes, musicians and debutantes alike. It doesn’t matter if you are a young celebrity like Megan Fox or an older actress like Lara Flynn Boyle it could happen to the best and the worse of them. Once you decide to go under the knife to improve your looks, you are taking a gamble as to what the outcome will be. Take the following ten celebrities who decided to get a cosmetic surgery procedure, or few, and you decide if they improved their look or not. 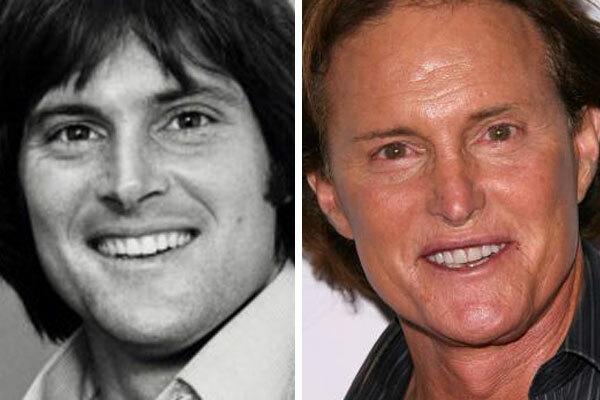 Bruce Jenner makes the list of celebrities with bad plastic surgery because we think that he looks like he is still running a race with his face is all pulled back. He might like this look reminding him of what it was like in his youth running fast in an Olympic event, however to the rest of us he looks a bit scary. Next on our list is Joan Rivers. She is actually pretty funny when she makes fun of her look as a result of all of the cosmetic surgeries that she has had in the past, however it goes without saying that she now looks like some type of hybrid cat person. 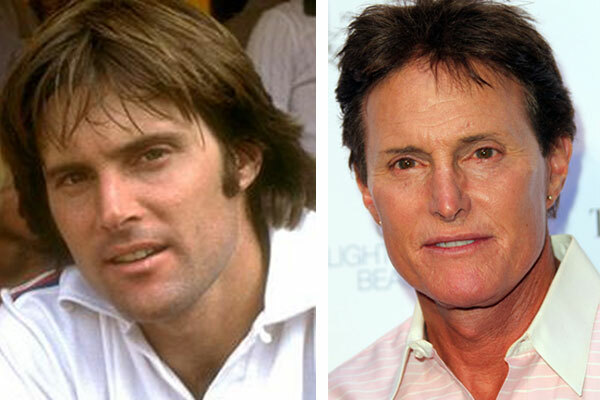 As a child of the 80’s I don’t remember Bruce Jenner the hot young Olympic athlete like the before picture above. The Bruce Jenner I know strikes an uncanny resemblance to a female P.E. teacher I had in 3rd grade, not a good look. At least Bruce is in good company, seeing how almost every family member on his show “Keeping up with the Kardashians” has majorly altered their appearance in one way or another. Bruce started his plastic surgery journey with a nose job and some eye work and has since had multiple procedures turning the gold medal winner into a plastic mess. It looks as though Bruce has had every surgery in the book…twice! He has even claimed that his procedures are often compared to those of Michael Jackson, we’d have to agree. Bruce’s step daughter Kim Kardashian has even spoken out on the subject and said that she loves the results that he has gotten, although she admits that the first facelift was a major mistake. We’re not surprised Kim thinks he looks fine, because she is next in line to win a BAD Plastic Surgery Award if she continues on with her own “enhancements”.